COLD, What cold? 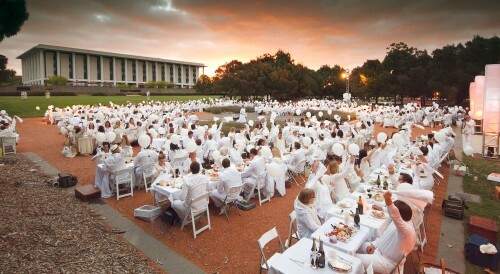 More than 700 people braved the indifferent weather last night for Canberra’s first all-white, pop-up picnic – Dîner en Blanc – to picnic at a “secret” location on the shores of Lake Burley Griffin. 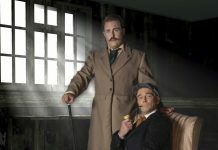 The event, part of the Enlighten Festival, was held at the Canberra Peace Park, next to the National Library of Australia, and was revealed to guests only after they had been escorted to the secret venue from various meeting points around the city. 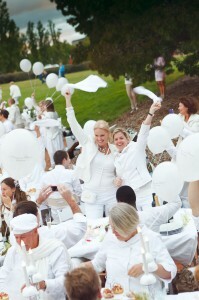 The Dîner en Blanc phenomenon is said to be taking the world by storm and Canberra’s was the third to be held in Australia. Last night, napkin waving marked the start of dinner and over the course of the evening, diners celebrated and dined amid live music and dancing, complete with festive white balloons. Dîner en Blanc events are attended annually by as many as 10,000 people in cities such as Paris and Montreal, and has recently been held in New York, Milan, Singapore, Boston, Philadelphia, Quebec, Sydney and Brisbane.